The parents of a missing 6-month-old baby will be arrested Monday in connection with the infant's murder, Culver City police told Eyewitness News. CULVER CITY, Calif. -- The parents of a missing 6-month-old baby will be arrested in connection with the infant's murder, Culver City police told Eyewitness News on Monday. Culver City police are asking the public's help finding a missing 6-month-old baby whose parents were arrested last month and remain in custody. 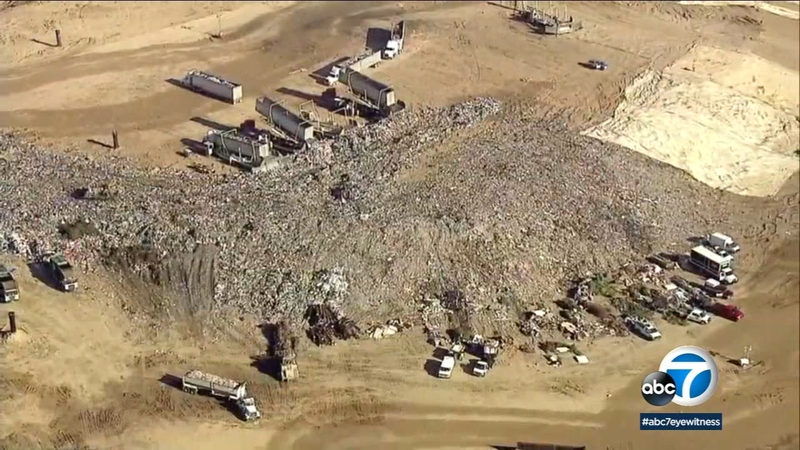 Investigators on Monday searched the El Sobrante Landfill in Corona, where they believe Jacsun's body may have ended up. The facility is designed to process 70,000 tons of waste every week. Jacsun was reported missing on Jan. 25, but he was last seen in December. Jacsun's parents were recently arrested on unrelated charges by Los Angeles police and remain in the custody of the county sheriff's department. The crime involved the theft of a PT Cruiser from a homeless transitional housing facility in Culver City, where they were living. "I heard several stories where they said Jacsun was where he should have been, and none of those have panned out for us," a Culver City police officer told ABC7. If you have any information about Jacsun's case, you're urged to contact the Culver City Police Department. During business hours, contact Detective Raya at (310) 253-6318, and after business hours, please contact the watch commander at (310) 253-6202.